When it comes to restoring your smile for functionality and aesthetics, your dentist will offer a variety of options. One popular, permanent procedure is mini dental implants. 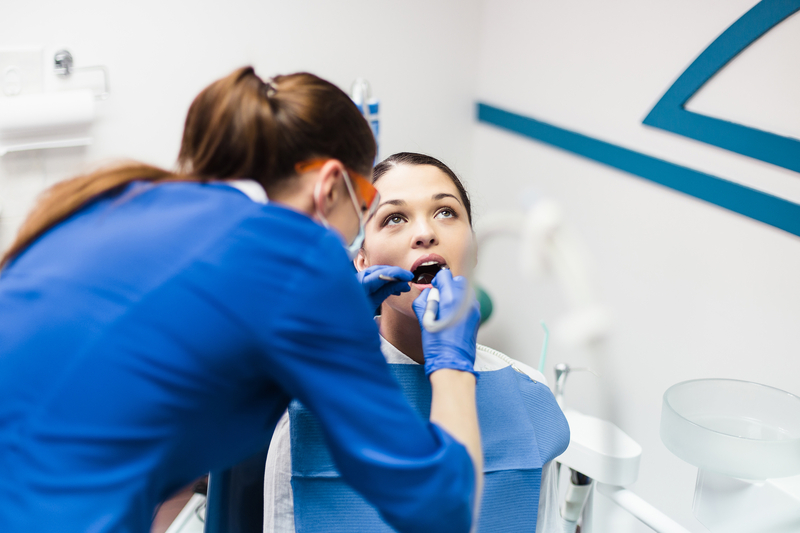 If you’re unfamiliar with this form of cosmetic dentistry, here’s some helpful information to review. Dental implants are a permanent solution to replace missing teeth. Your dentist will insert the implant into the jawbone. This titanium post insert will eventually fuse with the jawbone, creating a sturdy bond. The artificial tooth hangs just below the titanium post and fits seamlessly into your smile. A mini dental implant is simply a smaller version of this implant that’s less than 15 mm wide and 3.3 mm in diameter. How Do They Differ From Dentures? Implants are typically used to replace a single tooth. Dentures, unlike implants, can be removed for cleaning and while you sleep. Dentures are also available in full or partial sets and are ideal for patients that require multiple replacement teeth. Who Is a Good Candidate for Mini Dental Implants? Mini dental implants are a convenient, permanent solution for individuals looking to replace one or several teeth. If you currently have partial dentures that slip or feel awkward or you’re concerned about facial collapse due to missing teeth, you could be a good candidate for mini dental implants. Individuals who choose this form of cosmetic dentistry should commit to a strong oral hygiene routine as implants will need to be brushed and flossed twice a day just like natural teeth. Susan Kleier DMD, based in the heart of Lexington, KY, has been a dedicated, compassionate family dentist serving residents across Fayette County for over 25 years. If you’re interested in restoring your smile with mini dental implants, dentures, or veneers, call today at (859) 225-1188 to schedule an appointment. For more information on the comprehensive dental services this welcoming, modern, and patient-focused practice provides, visit their website. How Do Dentures and Veneers Differ?